This listing is for the PDF Instructions on how to weave the gorgeous Crystal Quad Chainmaille Cuff using the parallel chainmaille weave. 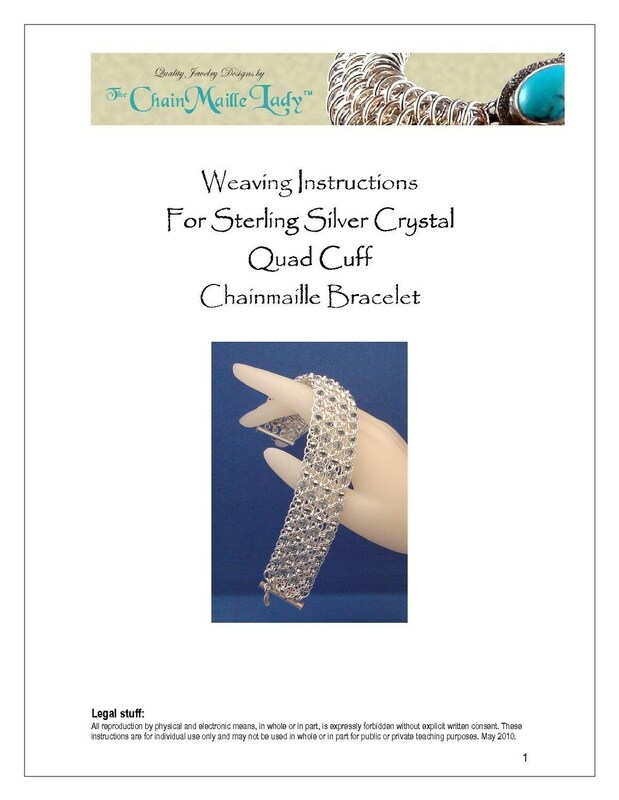 You will get a PDF file containing full color step by step instructions and a supplies list for the Crystal Quad Chainmaille Cuff. You will receive your PDF via your email listed on Etsy/PayPal within 24 hours of receipt of payment. The instructions were very understandable! And I'm going to start another one this time in gold-plated!